Some fans even queued as early as a day before the sales! 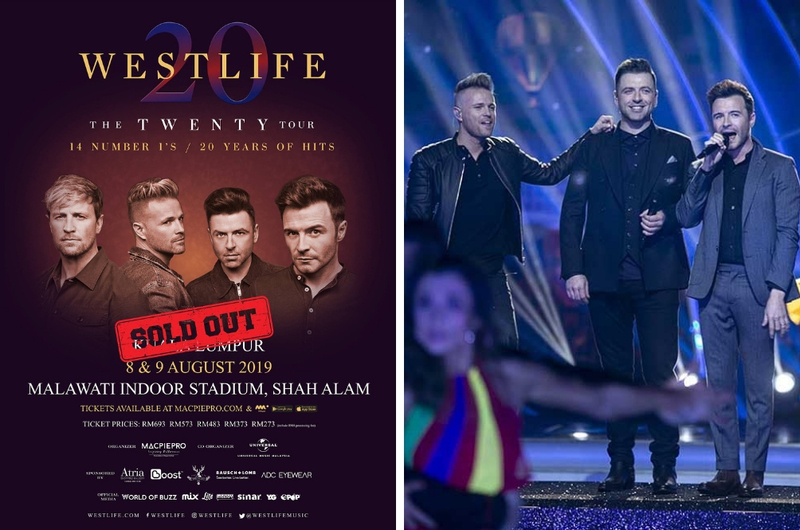 Last month, news of Westlife’s concert in Malaysia and its ticket sales announcement caused a huge buzz among Malaysians. As part of their 'The Twenty Tour', the beloved boyband of the 90s are making their way once again to our soil for a two-day concert. The concert is scheduled to take place this 8 and 9 August at the Malawati Indoor Stadium. 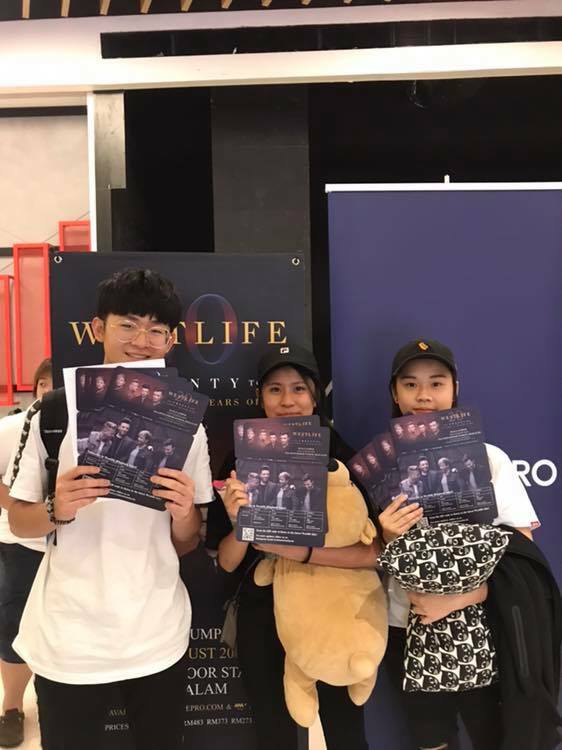 Tickets were officially sold on 13 April at the Atria Shopping Gallery while online ticket sales took place on 14 April with the price ranging between RM273 to RM693. What’s shocking is the fact that some fans went out of their way to queue up as early as a day before the ticket sales. And within 36 hours after the tickets were released for sale online, all tickets for both days are sold out! The concert organiser, MacpiePro, posted an announcement on their Facebook page to confirm the news. Earlier this morning, when we checked, tickets for the first day of the concert were still available but within a couple of hours, they were totally gone. Guess some Malaysians snapped it up before it’s too late. Although all tickets have sold out, we noticed that there are a lot of people leaving comments trying to resell their tickets. Ticket scalpers, maybe? Hmm, very fishy. We hope the organiser will be strict with all these ticket scalpers and ensure that there is a system to verify authentic buyers who are eligible to enter the venue. While the rest of you who failed to secure your tickets… maybe you guys can go for a karaoke session on that day or watch their videos on YouTube, okay?